Best Heavy Duty Mobility Scooter: How To Choose The Right One? Extra large capacity is naturally the primary factor for selecting the best heavy-duty mobility scooter, but it is far from the only one. As a big guy, I know how challenging it is to find something that not only matches your needs but actually gives you comfort and relaxed rides. That is why I did a considerable amount of research to identify the best models in this category. Here you will find objective reviews and buying advice. Let’s get started. With a weight capacity of 425 pounds, this scooter is designed for big people. Because of the 4-wheel design, it is also very stable and perfectly well suited for outdoor use. It will be safe for me to say that this model is designed primarily for comfort and doesn’t boast of portability. If this is how your priorities are organized, then read more about this model to decide if it could be the best heavy duty mobility scooter for you. 20-inch wide captain seat – It’s big and very well designed. In my opinion, it has awesome ergonomics and enables you to stay relaxed and comfortable even when you go for a long ride. The backrest is reclining and the seat, armrests, and headrest are easily adjustable for maximum comfort. Adjustable tiller with delta handles – You can position the tiller exactly as you like it to have a firm hold of the handles and to steer the scooter confidently. The wrap-around handles are easy on the wrists and this is a huge advantage for me. Built-in USB port – You can use it to charge your smartphone on the go. I like this feature because it gives you even more independence and helps you stay safe. LED headlight, parking lights, and turn signals – The bright and long-lasting lights make this model ideal for outdoor use by giving it a high level of safety. It may be the best heavy-duty mobility scooter for someone who enjoys long outings. Rearview mirrors – They are easy to adjust and help increase the safety level further, especially when it comes to parking. Front basket – It’s small but functional and this is the most important thing of all. With the front and rear suspension on the 14-inch tires, this model could be the best heavy-duty mobility scooter for those who love spending time outside even in places like nature parks with rugged trails. It can perform well even when the terrain isn’t perfectly smooth. The motor is quite powerful, enabling you to reach a top speed of 8 mph. You should find the steering and the switching between gears to be quite simple and effortless. One of the best things about this scooter for me is the maximum travel range of 25 miles. With the Drive Medical Panther, you can have long and comfortable outdoor trips almost anywhere when the weather is fine. 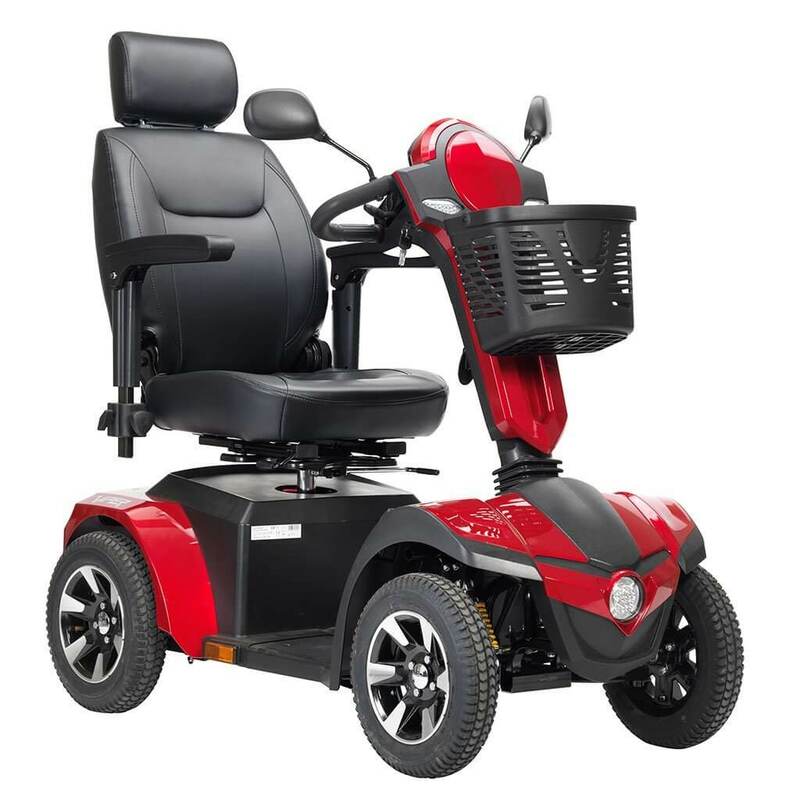 If you are big but want a versatile personal mobility device which is compact enough to be used both indoors and outdoors, then this model may match your requirements. With a capacity of 500 pounds, it can accommodate very heavy users. At the same time, it doesn’t take a lot of space measuring 46 by 25.5 inches. 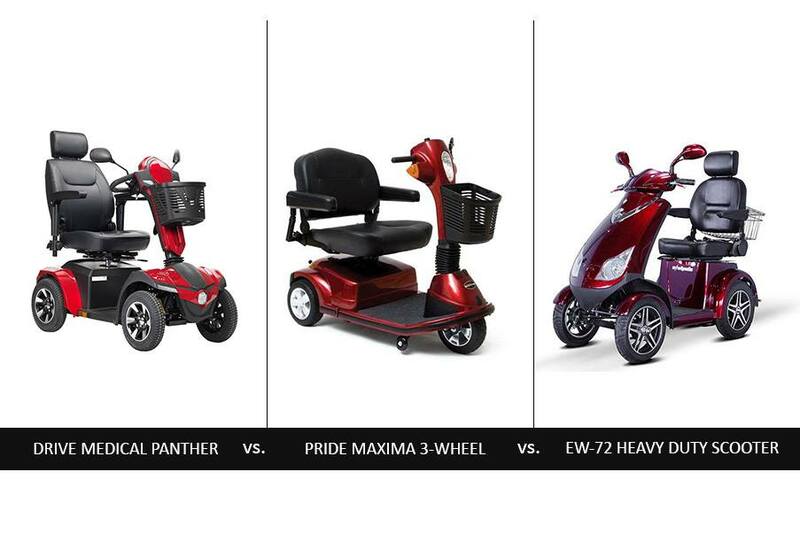 Let’s see what else it has to offer to determine if it could be the best heavy duty mobility scooter for you. Padded seat – It measures 22 by 18 inches which I think is a good size for big people. 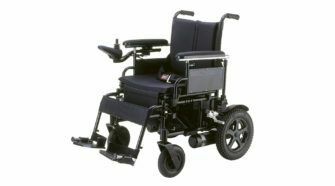 I find it very comfortable primarily thanks to the padding and the design of the backrest. Full lighting package – The lights work exceptionally well and help you steer smoothly and safely even when it’s dark and the streets are crowded. Adjustable tiller – This feature is pretty much standard and you can expect to find it in every model competing for the title of best heavy-duty mobility scooter but it’s actually invaluable as it contributes to fatigue-free steering. Front basket – It’s small but it can accommodate some personal items and a few grocery products. With its rugged flat-free tires, this Pride Maxima scooter can run well on almost any terrain. The motor is powerful and the top speed of 5.25 mph is good for a model which can be used both indoors and outdoors. You can expect smooth operation, highly responsive transmission and reliably working brakes. The 3-wheel design helps make the scooter more maneuverable. When the batteries are fully charged, you can travel a distance of up to 18 miles. This is a very large range that you’d expect to find in the best heavy duty mobility scooter. The key advantage of the Pride Maxima 3-wheel scooter in addition to its large capacity is its versatility. It is comfortable to use and works reliably. 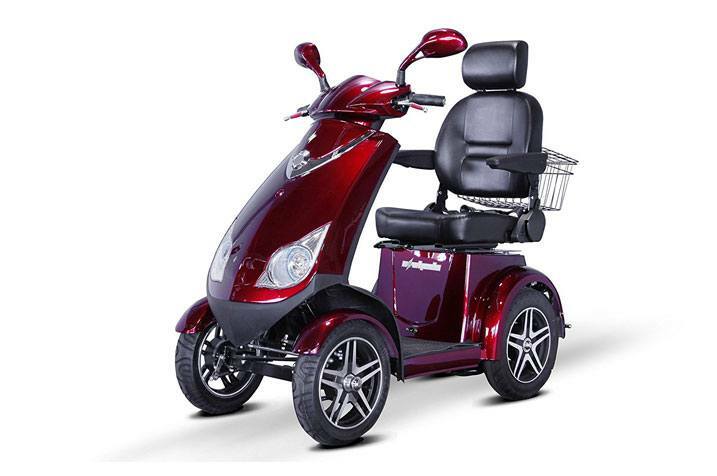 The sleek design and the big seat and wheels of this model are quite attractive; but when you are looking for the best heavy duty mobility scooter, you have to go beyond looks. With its 500-pound capacity, it’s suitable even for very big users. Another thing which I want to highlight is that the model is designed for outdoor use and isn’t portable. Contoured seat – I love its ergonomic design and thick memory foam padding. The backrest and headrest work perfectly to provide support. I appreciate the stability of the seat too. Anti-theft alarm system – This is a valuable security feature which isn’t commonly found. It makes this model stand out. Keyed ignition – This is another security feature which I think the best heavy-duty mobility scooter should have. Full light kit – This is an essential feature for riding the scooter outside. The lights are strong and can last for a long time. Rearview mirrors – With them riding and parking are both safer and easier. Cargo basket – It’s easily accessible and has sufficient space for all my groceries. With its 4-wheel design, big wheels and tires and full suspension, this mobility scooter can give you a smooth ride even on gravel and dirt. It’s stable and powerful. 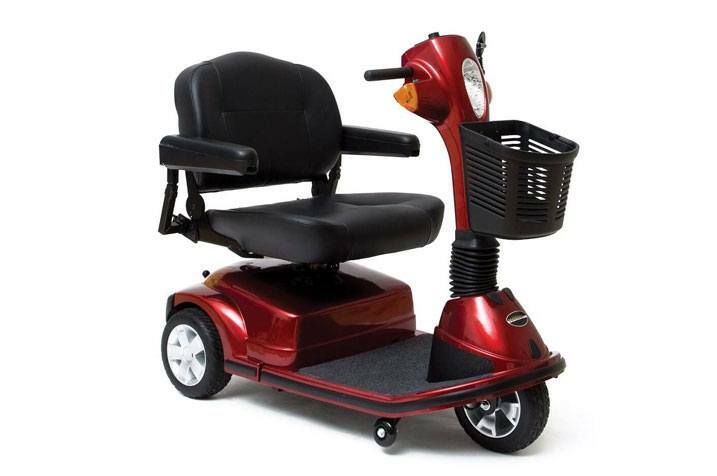 With a top speed of 15 mph, you can get anywhere you want to go much more quickly than with the typical personal mobility device. The model is highly maneuverable and easy to steer. The maximum travel range of 23 miles is awesome. The E-Wheels EW-72 could be the best heavy-duty mobility scooter for you if you go outside a lot and cover long distances daily. 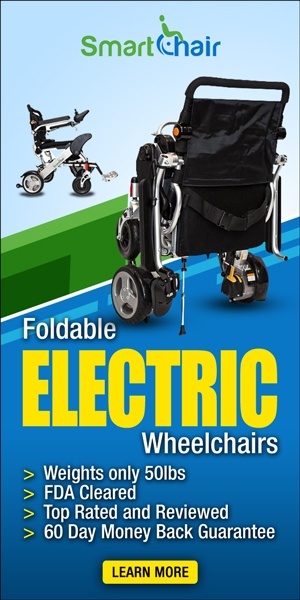 While capacity and size are the primary factors to consider, you would also want to ensure that the personal mobility device is a reliable performer. The more comfort and practical features you get, the better. For more information and reviews to help you decide on the best heavy-duty mobility scooter, check out Amazon.